1 A look over the Shoei GT Air II touring helmet. 2 Looking to buy this Shoei? 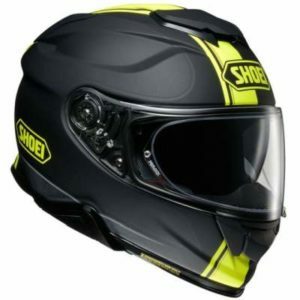 10 Best place to buy this Shoei crash helmet? 16 More Sports Touring Helmets? 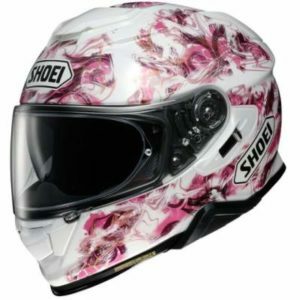 17 Looking to buy this Shoei? 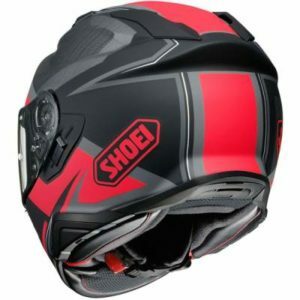 A look over the Shoei GT Air II touring helmet. 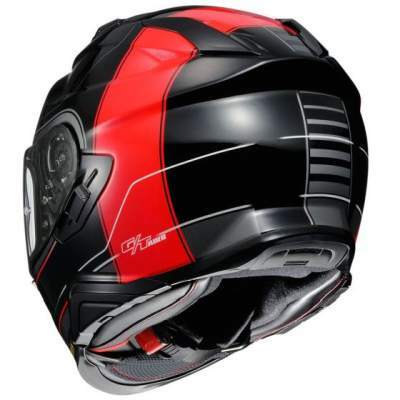 The GT Air II is Shoei’s replacement for the original GT Air helmet that was launched around 2012. That was a highly rated sports touring helmet that owners seemed to like for more or less everything – everything that is except its rather average score when SHARP tested in in their helmet testing labs. Like the original, the 2nd gen GT AIR II is designed for more upright riding – so if you’re thinking of buying one for your new ZX10RR, maybe think again (and check out our track helmets pages). But if you’re riding something more adventure/touring/naked it should be just about right. Shoei says they’ve uprated just about everything on the GT AIR II – it’s been wind tunnel designed to be more slippery, reduce noise and improve airflow. So it’s got a few more aero grooves in the shell and is a bit pointier shaped than the old helmet. But other than that, it looks very similar to the old helmet. They’ve also increased the drop on the sun visor too and thrown in EQRS for good measure. So, if Shoei has managed to improve what was already a very good helmet like they say they have, then it might well make the Shoei GT Air II a mandatory addition to lots of biker’s shopping lists this year. 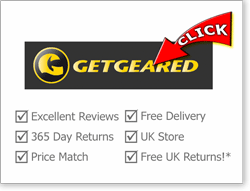 We recommend SportsBikeShop (UK) and GetGeared (UK) for outstanding service and competitive prices with free delivery, or MotoIn (Ger) for a wide range and excellent € prices. 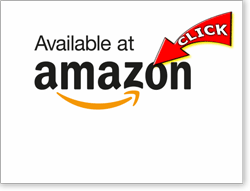 You might also like to click through to the Shoei helmets pages at Amazon UK if you prefer to buy from there. 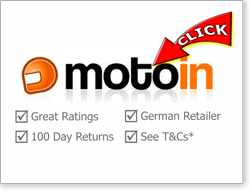 Please click any link to drop onto their Shoei helmets pages or see here for info on our recommended stores. Like the old GT Air, the GT Air II uses Shoei’s AIM (advanced integrated matrix) composite fibre construction shell that works in conjunction with a multi density polystyrene shock absorbing liner to absorb impacts and protect your bonce. 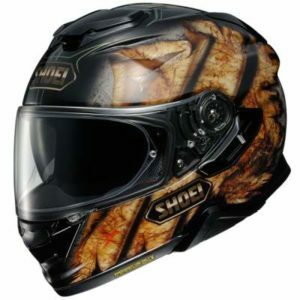 AIM is where Shoei lays down a couple of layers of fibreglass together with proprietary organic fibre layers to produce a strong yet flexible helmet shell. They keep the precise construction of AIM shells close to their chest, but it’s a slight step down from their top of the range AIM+ shells which incorporates another layer of what Shoei calls ‘special fibres’. I guess they’ll soon do an even better version called AIM++ where they include ‘extra super special fibres’, right Shoei? For the GT Air II they’ve made three different shell sizes to cover fitment sizes XS-XXL. Shoei lines the AIM shell with a multi density polystyrene lining. That’s designed to absorb shocks at different rates and is just about state of the art for crash helmet design at the moment (OK there’s sliding plane helmets out there like the Bell MIPS helmets and 6Ds ATS-1 with EID tech but they’ve not been independently safety tested yet). The European GT Air II is also ECE tested/approved and of course if you buy in other territories, it’ll be covered by your local testing regime (DOT for the US etc.). Shoei isn’t saying much about helmet safety improvement over the old GT Air which is a shame really as that didn’t score massively well when tested by SHARP in the UK. Here, it scored just 3 stars which was Shoei’s worst performance in many years. Having said that, there are two other Shoei helmets that have come out since the original GT Air and that use the same AIM (or advanced integrated matrix) helmet tech as the Air 2 – that’s the NXR and the RYD which scored 4 stars and maximum 5 stars respectively, so it’s not necessarily relevant to compare the old GT Air with the new and we’ll have to wait until some independent testing houses get their hands on the new model until we can draw conclusions. Inside the GT Air 2 you’ll find a welcome EQRS or emergency quick release system and this time there’s a metal micrometric fastener to keep everything secure. There’s also a welcome Pinlock ready visor with a Pinlock thrown into the box to keep your vision fog-free. And to help with that, there’s a new ‘cracked open’ visor position to assist with defogging duties should you need it. Of course, to maximize your protection from any helmet, your number one objective is to get your helmet fit spot on (it’s not just me saying that, every reputable helmet authority agrees it should be your number one priority). So always follow a helmet fitting guide, order the correct size and then wear it around the house for a while until you’re sure the fit’s right before committing to buy. And if it’s wrong, do swap it. It’s a pain in the arse having to return a helmet, but buying a helmet’s a longer term investment for most of us, so it’s worth the aggro. Leave the tags on until you’re sure you’re keeping it and buy from a retailer who’ll accept returns/replacements without question (like all our recommended stores). The old GT Air was well regarded for noise attenuation and Shoei says they’ve improved things since then so, things are looking up! But they also say they’ve improved ventilation over the old helmet and that can mean – simply – that there’s more pathways for noise to get into the helmet. However, they’ve also made the new helmet more aerodynamic and have incorporated ‘noise cancelling ear pads’ into the GT Air II which will hopefully mean things are quieter still. A word of caution though. Don’t expect too much because, at the end of the day you’re hurtling through the air and, depending on the sort of bike you’re riding, that’s gonna create noise. Noise perception is also very personal, so one person’s quiet helmet might sound like riding with your head in a kettle drum to you! But push in some decent ear plugs every time you ride and we expect the GT Air II to be at least a reasonably quiet helmet – and we’ll update things further when we hear from a range of riders using GT Air IIs in the real world. Ventilation on the GT Air II is pretty straight forward. There’s a single chin vent operated by a large glove-friendly slider. And there’s a large crown vent, ditto. They’re both nice and easy to use and easy to locate and Shoei reckons they’ve enlarged both vents slightly to ‘dramatically increase’ venting compared to the last helmet – which was highly rated for ventilation anyway. All the air exits the helmet by a couple of always-open exhaust vents to the rear. And if the helmet shell venting isn’t enough, Shoei’s introduced a ‘cracked open’ visor position which should help with venting and demisting around the visor and with keeping you cool in mega hot weather. Overall, you’ve gotta expect the ventilation on the GT Air II to be excellent given the old one was and Shoei has worked in the wind tunnel to improve things further. The visor on the GT Air II has been designed to be nice and wide to aid peripheral vision and it has their CNS-1 spring-loaded baseplate to pull it back tightly to the weather seal and keep air and wind out when it’s closed. It’s also a quick release visor and, as mentioned, features a new, smaller ‘cracked open’ position to let you open your visor for venting and demisting but still protecting you from air and rain. However, you shouldn’t really need to use it that much if you fit the supplied Pinlock anti-fog insert onto your visor as they’re pretty much essential fitment these days if you do any riding when it’s cold/rainy or humid. Shoei has improved the sun visor slightly by making it around 5mm deeper, so it should cover more vision and reduce the size of the line of sunlight at the bottom that some riders find distracting. The sun visor is operated by a slider just below the left hand visor pivot. That’s where we reckon is just about the most convenient placement. It’s an ‘analogue’ slider too so you can drop it fully down or position it anywhere in between. Again, that’s good. Shoei has also included a pair of small switches inside the helmet. These allow you to lock the sun visor in place to make it easier to remove it for cleaning. Nice and thoughtful touch that. The GT Air II uses Shoei’s Max Dry internals. That’s a moisture wicking material designed to pull sweat away from your head along with being very comfortable to the touch. The Old GT Air was highly thought of as being a really comfortable helmet although a few owners said it sized a bit small – so where they might normally be a medium for example, they had to go large with the GT Air. Hopefully Shoei’s got that issue sorted with the Air II but it’s perhaps another reason to carefully double check the fitment once you get it home. If it doesn’t quite fit right, Shoei does make their helmet internals fully customisable so you can buy new cheek pads to tighten or loosen things slightly if you’re just looking to tweak the fitment rather than going a full size up or down. As you’d expect, the lining’s also fully removable and washable and there’s some generous glasses grooves in there so you can ride with your double glazing intact and not pushing into your head. There’s also some good sized speaker pockets inside the helmet. The GT Air 2 is designed to integrate with Sena SRL2 bluetooth kit (see below for more details) but the speaker pockets are big enough to work with many speakers that aren’t too deep. Shoei’s are usually known for their pretty reserved colour schemes. And, as expected, you can buy your GT Air II in a range of plan/solid colours – this time including blacks, whites, a couple of silvers, a metallic blue and a mega bright brilliant yellow version (see further down). But they’ve also released a couple of very in your face designs too in the form of the Conjure and Deviation graphics. If those are a bit too mad for you, you can return to more familiar Shoei territory with the Affair (available in red, yellow or white versions) and the reserved Crossbar graphics. 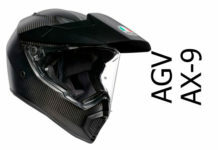 Feel free to get better views of these helmets on the Shoei helmets pages of our recommended retailers. You’ll find their links below. They’re recommended because they offer excellent service and cracking value so if you buy from them you should be well looked after. And if you need to return it, they’ll sort you out without fuss too (again, provided you don’t remove the tags). Please click below to visit the Shoei helmets pages at our recommended stores. And if you buy from one, we get a small sum from the sale at no extra cost to you - a massive THANKS! (it's how we finance the site). OK audio. 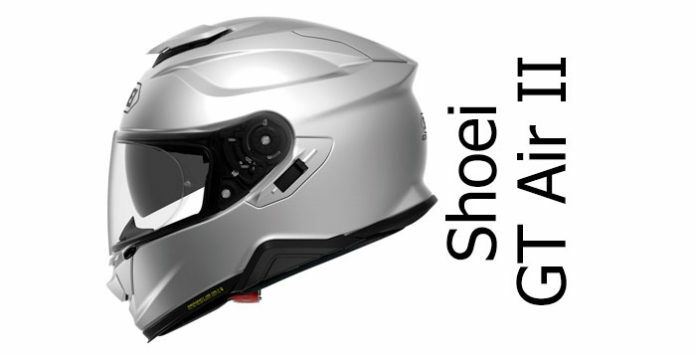 Shoei has partnered with Sena to integrate their Sena SRL-2 bluetooth into the shell of the GT Air 2. That means you can remove a side panel on either side of the helmet and slot the controller unit inside so it’s nice and flush with the helmet shell. There’s also another panel at the back of the helmet to take a battery pack, and there’s a couple of speaker pockets that’re just the right size for the Sena, plus an indent on the back of the chin guard for the mic. Which is all very good if you’re wanting to buy a new communicator (at about £250) but potentially a bit of a pain if you have a different set that you’d like to use. Those pull-away panels look like they might be right where you’d want to stick or grip on your existing kit too. All Shoei helmets come with a 5 year manufacturer’s warranty covering build and defects. 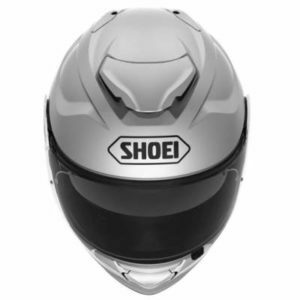 Shoei has aimed to build on and improve on what was already a great sports/touring helmet. The changes don’t look massive – you can see the similarities between the helmets if you check out our review of the original GT Air – but the slightly improved aerodynamics should help with performance through the air and stability. There’s a tweaked drop down sun visor to give more cover, and the venting system has been further developed to try and bring even more air into an already well-ventilated helmet. The old helmet dropped a couple of marks for safety when it was independently tested by SHARP. But if Shoei manages to improve that performance (and looking at the NXR and RYD there’s no reason to suppose they can’t) that will really be the icing on the cake. The GT Air I was comfortable, had a great visor system and had an excellent reputation for build quality, like all Shoeis. If Shoei can deliver on their design goals for the GT Air II, it could well be one of the best performing touring helmets on the market. First up, there’s Shoei’s own RYD helmet. That scored 5 stars for safety (plus it’s Snell certified in the US too) and it’s got EQRS, Pinlock antifog in the box, has great ventilation and it’s comfy. All that and it’s a chunk cheaper than the GT Air 2! 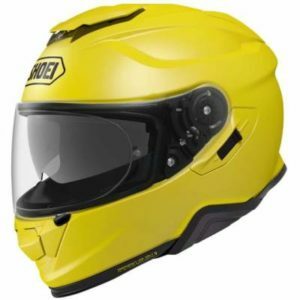 You can find an Arai QV Pro for around the same money as the GT Air 2 – and for that you get a SHARP 5 star rated fibreglass street helmet with Arai’s Pro Shield and a Pinlock included. Note, this helmet’s more suited to folks with longer heads than the Shoei. At the more budget end of the market is HJCs FG-ST. That’s a SHARP 5 star rated fibreglass helmet too plus it comes with a sun visor and Pinlock included. Finally, a bit more left-field is X-Lite’s X-702GT. Again, 5 star safety rated as well as being highly rated for comfort, venting and noise – it’s around half the price of the Shoei too. We've looked at heaps of helmets that are more suitable for touring and naked bikes. 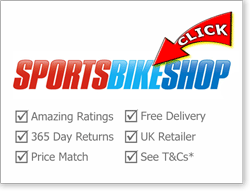 You'll find them on our Sports Touring helmets pages. 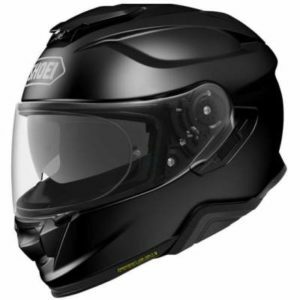 Or, if you're looking for the safest tested helmets on the market, you might want to take a look at our safest motorcycle helmets pages where you'll only find helmets that are SHARP four or five star rated - so you'll know you're wearing the best protection around. Previous articleScorpion’s do everything adventure/road modular helmet: the Scorpion ADX-1.